The Open Cloud Forum will be the second event of a series that started with the London event in February 2014. It is organized and co-ordinated by OW2, and will be open to other open cloud communities. It will offer to attendees a mix of panel discussion and presentations given by experts from the open cloud community at large. Check out the OpenCloudware demo given by Grégoire Lejeune, eNovance. 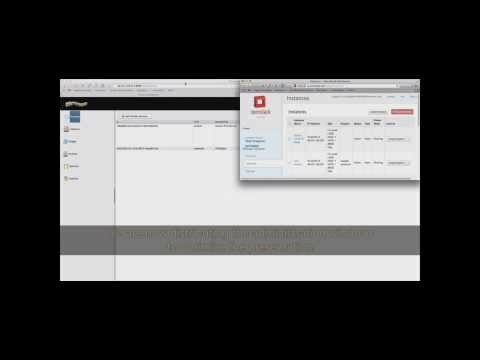 The 5 minutes demo shows how to deploy several nodes on two different cloud infrastructures: enocloud and ow2stack, both IaaS being OpenStack-based. More IaaS diversity is coming in a near future. To find other presentations files, please click here. The Open Cloud Forum is reaching public and private infrastructures, offering a new flexibility to local, national and global IT projects. Innovation takes place around technical and collaborative projects federating ISVs, scientific and industrial research groups. They rely on cloud standards such as OCCI, CIMI and CDMI to improve data portability and service interoperability over heterogenous infrastructures. To seize the latest Open Cloud opportunities, visit Cloud Computing World Expo, April 9-10, in Paris and join the free Open Cloud Workshop, designed and co-ordinated by the OW2 OSCi (Open Source Cloudware initiative) and gathering many open cloud projects, experts and communities. How to join Open Cloud Forum Paris? First, click here to obtain Your Free Registration! Then, on April 9, 2014, just attend the PARIS LA DEFENSE CNIT Cloud Computing World Expo 2014.